Please note that the content of this book primarily consists of articles available from Wikipedia or other free sources online. A series of cartoon shorts that each lasted only 30 seconds introduced the legendary Simpson family to television viewers in 1987 as a part of “The Tracey Ullman Show” and in 1989 the program was transformed in a 30-minute comedy series. Since its debut on television, the Simpson family has enchanted millions of viewers and the show has broken many television records. Moreover, a star on the Hollywood Walk of Fame attests the success of creator and executive producer Matt Groening and his team. 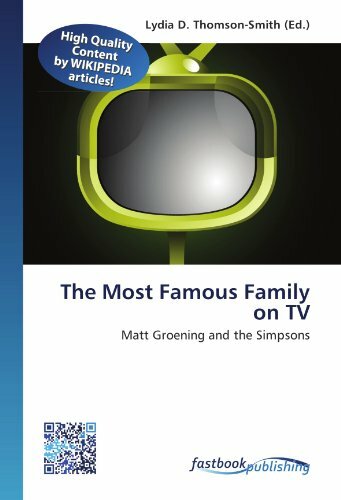 Learn more about Matt Groening and his animated sitcom as well as the Simpson family in this book.